Of course, Battlement Mesa offers the "traditional" outdoor activities. We have nearly 6 miles of "in-town" trails for hiking, jogging and biking. We offer fishing on the Colorado River which forms the north boundary of our community. A wonderful golfing experience is available at our award-winning golf course, designed by Joe Finger and Ken Dye, and tennis courts are awaiting you at the 53,000 sq. 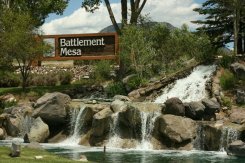 ft.Battlement Mesa Activity Center, but our outdoor activities don't stop there! 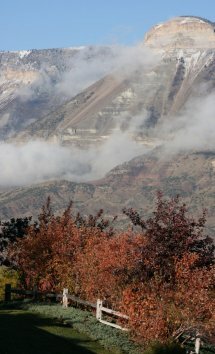 Since Battlement Mesa's "back door" is western Colorado's Great Outdoors, many additional opportunities abound. Here are just a few Outdoor Adventures that might appeal to you. 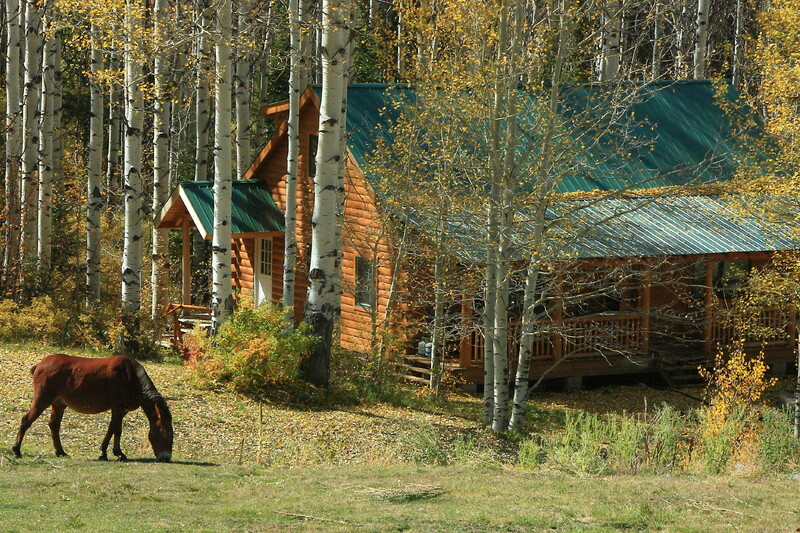 Many Battlement Mesa residents and visitors raft in the summer and ski, snowboard and snow shoe in the winter! Sure we're close to some of the best downhill and cross-country skiing and snow boarding in the country. 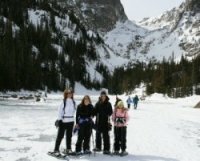 Everyone knows that, but many people don't realize that Colorado's Great Outdoors - like White River National Forest and the Grand Mesa National Forest - are great nearby destinations for that Rocky Mountain High snow shoeing experience. You don't own snow shoes? No problem! You can rent snow shoes at many locations like Sunlight Mountain Resort, and Powderhorn Grand Mesa. John Axelson's "Big Game Hunter's Guide to Colorado" describes Garfield County (where Battlement Mesa is located) as "another Colorado community that caters to big game hunters. With its close proximity to the White River National Forest, the Grand Mesa National Forest, and the BLM lands, there are literally thousands of acres of public lands...and Garfield County is also a well-known producer of trophy mule deer, and there are large numbers of elk in the area. This area also holds good opportunities for hunters interested in pursuing mountain lion and black bear." 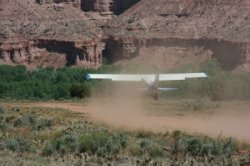 Axelson continues with, ..."the Roan Plateau" (immediately north of Battlement Mesa) "offers exceptional deer and elk hunting." Here is an example of one of the area's many outfitters: Winterhawk Outfitters, Inc.